Sorry I’ve been absent for a few days! School started up again this week and the first week is always a little bit of an adjustment period. It always takes a few days to get used to a new schedule and I’m still trying to balance reading, homework, my personal commitments, getting healthy and doing all my fun online stuff. But I still have some fun posts planned and have been changing my manicure daily, so look forward to a lot of great posts! After the success of Chanel “Peridot,” many companies came out with cheaper alternatives. I stayed away from a lot of them because I already had Peridot. But in my last swap, my lovely friend Lindsay sent me a little set of Color Club mini’s from the recent fall collection. After playing with Color Club “Editorial,” I had to know if they were dupes! 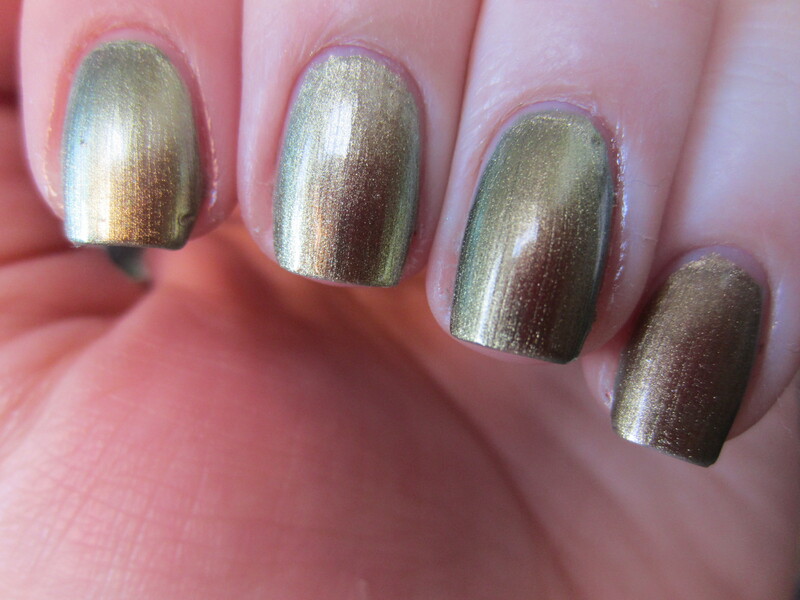 Keep reading to see comparison swatches! Are they really dupes? First off, you can see a difference from just looking at the bottles. Editorial has a bigger color shift in the bottle. If you notice the picture above, the blue ring around the outside of the bottle is much more prominent than Peridot. It maybe be because the bottle is smaller but that was the first difference I noticed. They definitely aren’t dupes, but they’re close. The formula is almost exactly the same. Both took 2 coats to be opaque and the dry time was similar as well. 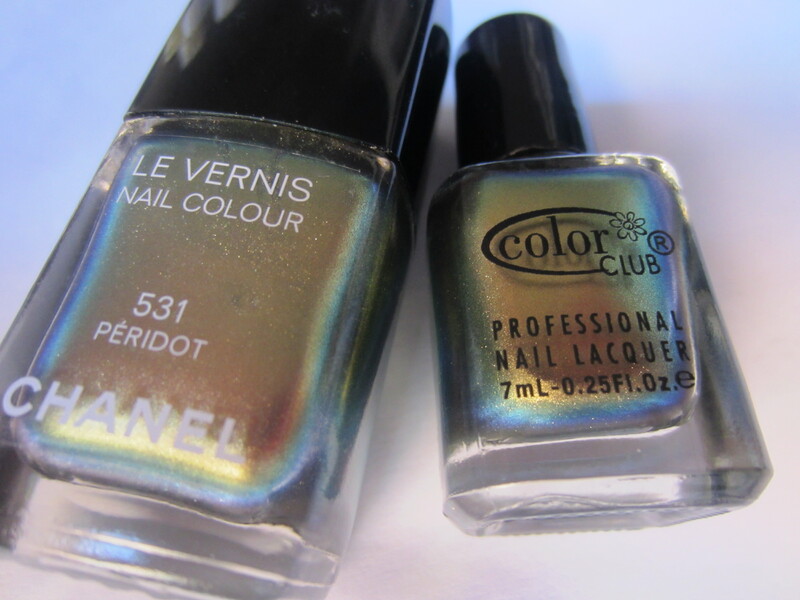 The Chanel is a little lighter and cooler while the Color Club is warmer. 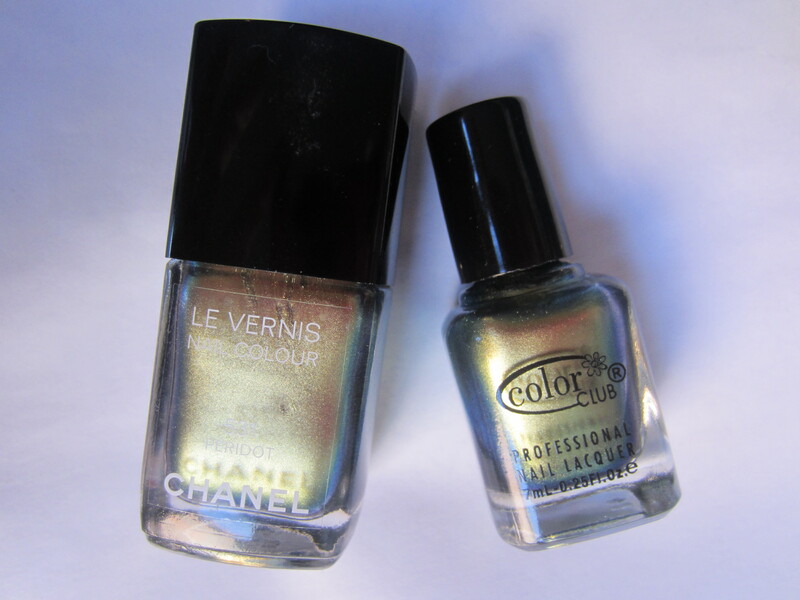 The gold in the Color Club is more of warm gold while the gold in the Chanel is a neutral gold. 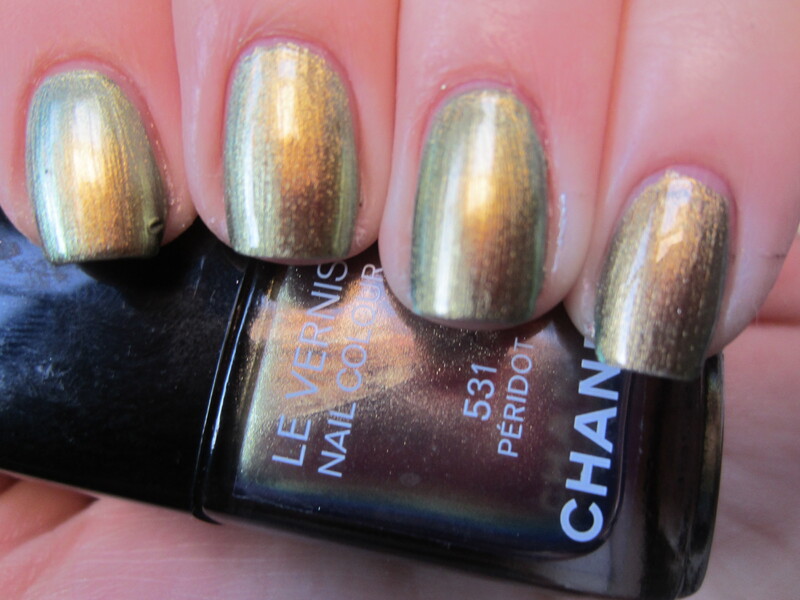 Also, the Chanel has a much more prominent shimmer. The Color Club is somewhat streaky too, which is a little bit of a downer, but its also slightly more duochromatic, but very very slight. Which one wins? For me, probably the Chanel. Its hard to beat an original! Since the formula and dry time are so similar, the finish is what pushed me over the edge. I prefer the shimmery one to the streaky one. But its hard to fight with the price tag, since there is a $20 difference between the 2 polishes! Which one wins for you? 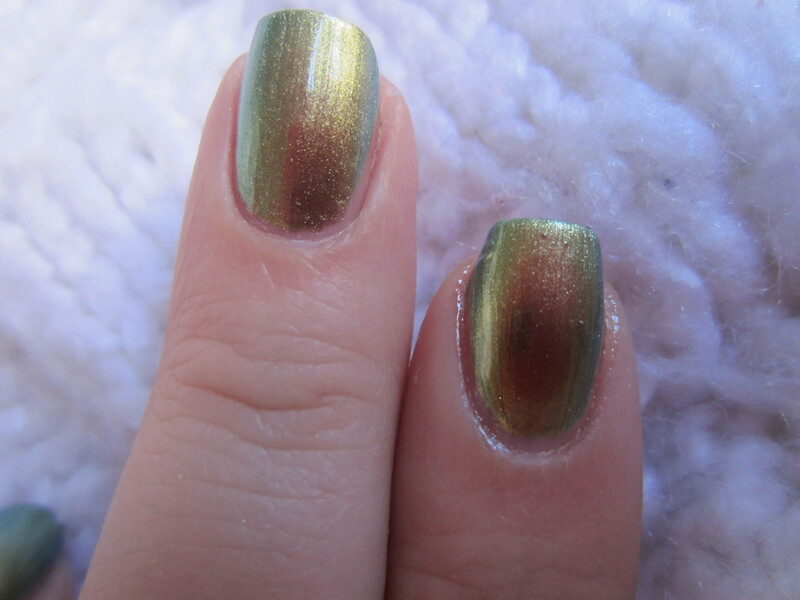 Which of the two polishes do you like better? Do you have any of the Peridot dupes? They look very close!! I wanna check my stash now… I feel like I have a similar color… but can’t remember what it is! i love the chanel too! 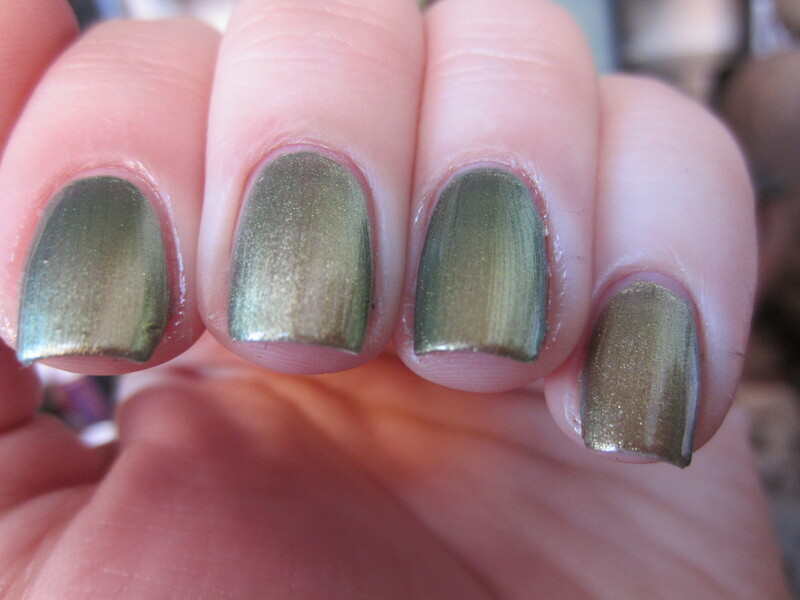 I have one by Catrice in 840 Genius in the bottle – its really similar to Peridot too. Its great that we do have alternatives in the drugstore area. deborah lippmann is not being sold here at all. I know about this brand throught other bloggers on here. I just don’t love Peridot enough to pay that much for it. (So far, I haven’t found anything at all that I think is really worth that kind of price. Luxury brands would be in trouble if everybody was like me!) But if I see the Color Club one I might give it a try. 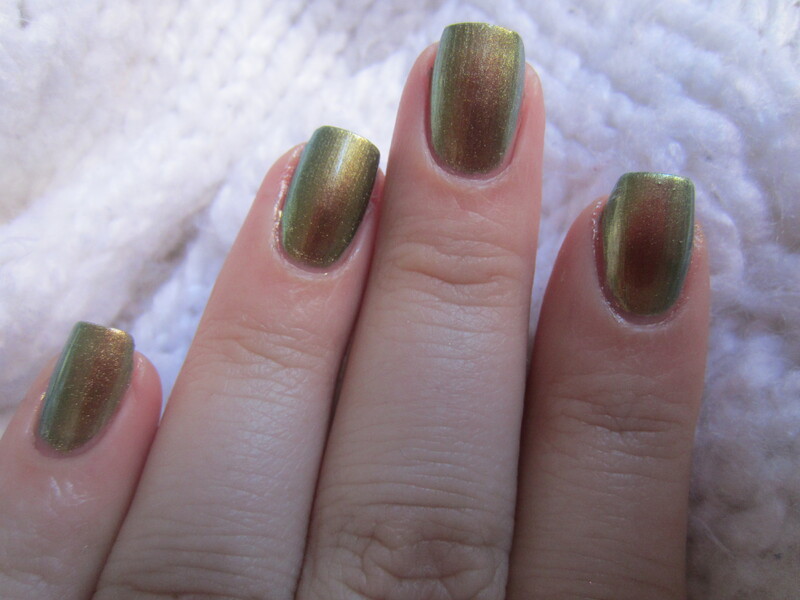 Reminds me of OPI spotted the lizard but regardless its beautiful !